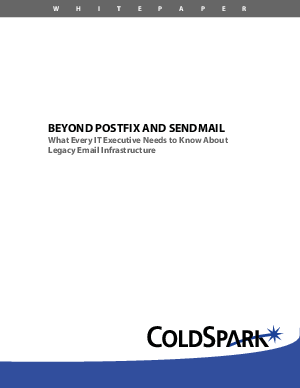 Though legacy open-source email network applications like sendmail and postfix are widely used, the escalating demands of today's enterprise environments have outpaced their capabilities. Large organizations must now look to implement a true enterprise mail transport platform to support the standards of their current and growing business. Learn how to modernize your email system now.